This year we continued to develop a strong foundation with competence and stability. This has been incredibly rewarding, reassuring and gives us confidence in what we are doing. 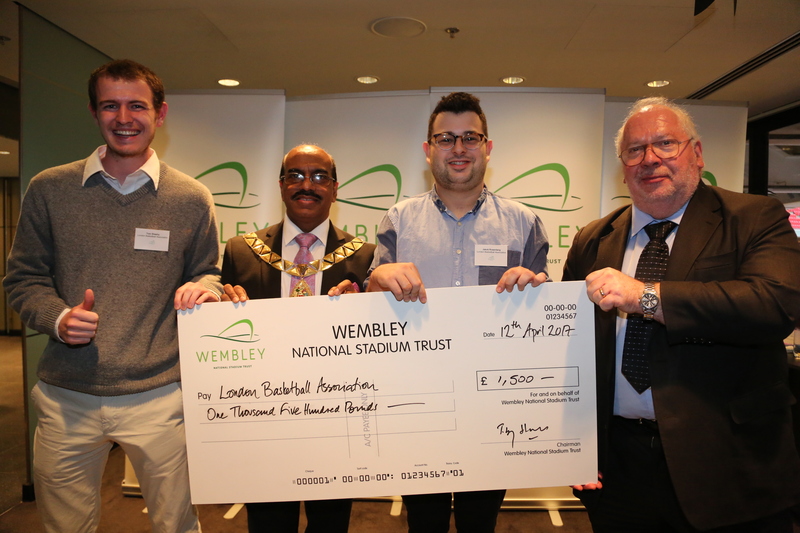 The LBA has been extremely pro-active since its establishment after the 2012 London Olympics, and while the term Olympic Legacy has faded, we are keeping it going! In this report, you will find information on the tools that we use to measure our actual impact on society, plus individuals & organisations we collaborate with to make what we do viable. With this said, we are currently seeking patrons and philanthropists to get involved with our noble cause. It’s fun, exciting and there is still so much we want to accomplish. The LBA continues to have robust systems in place to measure our impact on society, allowing us to prove the benefit of sport on youths. We use 2 main platforms, Sportworks and the Life Effectiveness Questionnaire (LEQ), which collect data and produce results on the impact of our work. Sportworks calculates the likely financial cost savings to society associated with the reduced likelihood of participants facing negative outcomes, while the Life Effectiveness Questionnaire shows the positive impact the LBA has on participants’ personal development. However, we are not limited to these tools and are committed to continued development of our monitoring and evaluation systems and processes. We have been validated by Project Oracle for our level of evidence, achieving the Level 1 accreditation. We have also continued to put significant effort into creating digital evidence of our work by capturing more and more photos and videos of our sessions. This in turn has lead to a following of over 200,000 across our social media platforms. This provides us with a phenomenal reach across London. Sportworks was developed by Substance for the Sported Foundation to help measure the impact and cost savings associated with delivery of sport for development programmes. A full explanation of the research that underpins the Sportworks model can be found in the research report. Based on the demographic profile of participants, the Sportworks model generates a risk score (an assessment of the likelihood of participants facing a range of social problems) and an impact score (an assessment of the likely effectiveness of a projects’ or programmes’ activity in reducing that risk). It then calculates the likely financial cost savings to society associated with the reduced likelihood of participants facing 7 key negative outcomes, shown in the graph below. Our data shows that we had a total of over 3000 unique participants this year! The Sportsworks tool translates the impact of our projects into a monetary figure that reflects how much money the project attributed to saving society through its impact on the beneficiaries. In our most recent year we attributed to saving society over £18,000,000 across all of our projects! What is life effectiveness? It is a person’s capacity to adapt, survive and thrive in areas of personal development typically targeted by intervention programs. Intellectual flexibility – the extent to which the individual adapts his/her thinking and accommodates new information from changing conditions and different perspectives. Social competence – the degree of personal confidence and self-perceived ability in social interactions. Achievement motivation – the extent to which the individual is motivated to achieve excellence and put the required effort into action to attain it. Task leadership – the extent to which the individual leads other people effectively when a task needs to be done and productivity is the primary requirement. Emotional control – the extent to which the individual maintains emotional control when faced with potentially stressful situations. Self-confidence – the degree of confidence the individual has in his/her abilities and the success of his/her actions. The LEQ data allows us to calculate the percentile increase in a person’s perception of themselves across the 8 factors. The results of this research is analysed below on a project-by-project basis. Our school competitions programme expanded into Lambeth with a mid-season secondary school tournament which was new to LBA. We saw phenomenal results this year, which improved on the year before and lead to even higher levels of engagement. This was reflected in the LEQ results collected from the participants. In total, over 700 unique participants took part, and the feedback, through the life effectiveness questionnaire, showed us that all participants experienced positive change in the factors measured. Overall, this project created a 32% percentile increase across the 8 LEQ factors. Other evidence shows us that previously inactive participants who took part in our school competitions programme were inspired to develop a sporting habit and went on to continue playing. Our youth basketball sessions engaged individuals between 5 – 21 years of age and took place in the following boroughs across London: Brent, Westminster, Hounslow, Hammersmith and Fulham and Hackney. Overall, this project created a 43% percentile increase across the 8 LEQ factors! Government funding for youth services has been drastically cut, with Westminster alone experiencing an almost £2 million reduction in income. It has been left to organisations like ours to fill the void, which we do by providing holiday provisions every holiday season. We make our activities affordable, accessible and highly inclusive, leaving no child out and keeping them active when they could easily end up inactive, unproductive, and on the street. holiday activities for the following age groups: 5-13, 14-17 and 18-25. These activities took place throughout the year during all school holiday periods (Under 13 sessions were only during warm season). We continued to collect Life Effectiveness Questionnaires at our holiday activities for young people, which also produced phenomenal results in the young beneficiaries. Overall, this project created a 38% percentile increase across the 8 LEQ factors. This year we continued to increase our number of community basketball sessions in London. We now provide and support 27 community sessions across 8 London boroughs and engaging over 2000 unique individuals. We also expanded our services to include wheelchair basketball sessions in collaboration with the London Thunder Basketball Club. These sessions were very successful and engaged a total of 13 unique participants. programme in the following year and expect to engage 450 individuals and train them in a range of areas from coaching to first aid. Overall, this project created a 40% percentile increase across the 8 LEQ factors. Other evidence shows us that people who took part in our Volunteer & Develop programme move on to gaining paid jobs in the industry of their choice. These industries range from social media marketing to basketball coaching to name a couple. We pride ourselves in providing quality training and work experience and in turn provide invaluable references to participants. Sportworks helps ‘sport for development’ organisation create concrete evidence of the value of sport, and the financial impact of their activities. Sportworks created an algorithm to assign scores to risk and protection which then determine the impact score across all areas. This impact score is then monetized to estimate the total cost savings of each individual by participating in sport activities. This work was commissioned by Sir Keith Mill, the same persons who invented air miles and the nectar card! A full explanation of the research that underpins the Sportworks model can be found in the research report. Through participation in sport, in our case basketball, players learn skills and lessons from the game that can be applied directly to their lives outside of the court. Sportworks allows us to acknowledge the areas we are excelling in, while also noting the areas that we can improve upon in order to have even greater cost savings and make an even bigger impact on society. Through the data we collect, the results we have drawn can be used to shed light on larger problems in society and grab the attention of parliament to make a permanent change. Over 4,000 groups have been using this tool to prove the impact of sport and to show the potential to make a difference in the world through sport. What exactly is the Life Effectiveness Questionnaire? It analyzes how personal skills are important factors in how effective a person will be in achieving their aspirations in life. The LEQ has been developed for over 15 years, tested on thousands of individuals, and has been revised many times to make it the reliable and valid tool it is today. London Youth adopted the LEQ as their main analysis tool in 2012 and has been used to survey over 25,000 individuals and used in about 20 research studies since then, gaining more popularity every year as a promising program evaluation tool. The Life Effectiveness Questionnaire helps measure the changes in personal development over a specific time through an intervention program. The questionnaire is known worldwide because it focuses on actions, behaviours, and feelings, which is more effective in managing and succeeding at life. Participants complete the survey at the beginning and end of their programs in order to see how they have changed over the course of their time with the LBA. Once the second questionnaire is completed, we are able to see the direct impact that the LBA has on each individual’s life. LBA has now been in existence for 5 years, and this last year has been our best yet! We have made a huge amount of progress, having been a charity for 1.5 years and having expanded in new directions with our vocational courses programme. For our courses programme, we ran a pilot in 2017 between August to October, organising 6 courses, with 100 participants in total, and 90% of them passing. This has allowed us to address unemployment issues in London, as well as the shortage of officials and coaches in society, allowing the game to be more viable. This has also allowed our beneficiaries to get involved with the sport while earning an income. We really look forward to announcing our 2018 schedule so keep an eye out! This year we made further progress by expanding our team and hiring a new project manager who will be instrumental to growing the success of our charity. We welcome Joshua Rogers, originally from Bristol, and has studied & played in the USA NCAA. He’s now back in London and wants to contribute to improving society through the sport. He knows basketball inside-out and has seen both USA & UK organisations, so is certainly the man for the job. We’re super excited to see his impact over 2018. In 2018 we aim to continue growing our team by hiring 3 more crucial staff in the following departments: marketing, accounts & and HR. In 2018 we hope to work toward helping create a strong leadership organisation that can unite basketball clubs for the greater good of everybody. We have recognised a need for this and plan to work with organisations such as Sported, London Sport and Basketball England in order to achieve this. We believe that this type of infrastructure is extremely important and a big responsibility, so welcome any support and ideas on how best to achieve this. They say that going from £100k to £200k turnover is the hardest step, and that is exactly where we are at. We have a positive outlook and a plan that we believe is worthy and we look forward to serving society with the quality they deserve and surpassing this milestone. We continue to make a strong impact on society, but we believe we are still punching below our belts. In order to achieve our goals, we hope to see an investment in our organisation from society in order to allow us to continue our work and achieve our goals. We started off with no patrons and £2000 which our current CEO invested, and have grown in to a charity with over £100,000 a year in turnover, and a variety of phenomenal projects. Our other focuses are on female basketball, which believe requires a far stronger structure. We will also focus on school leagues and competitions, by building a strong infrastructure which will engage schools across London. LBA hope it can help a lot more people via these avenues and our current projects. We would like to say a massive thank you to all the people who we collaborated with and those who sponsored & donated to our noble cause.